It’s September, which means all my favorite things of fall like cooler weather, football, and of course, pumpkin everything! 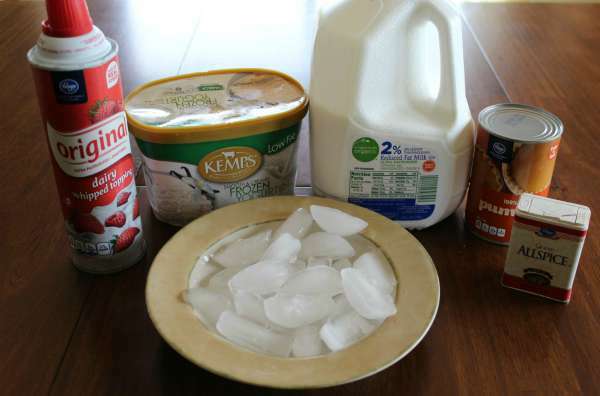 As you know, I love copycat recipes! They save money, usually taste better, and you know exactly what ingredients you are eating when you make it at home. 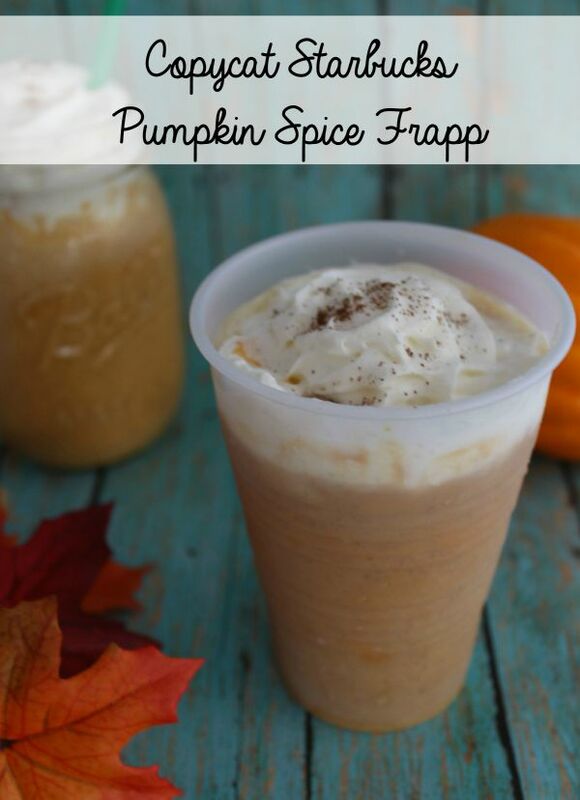 This Copycat Starbucks Pumpkin Spice Frapp recipe can save you quite a bit of money when you make at home this fall. Plus, you can have it anytime you want – no need to wait for pumpkin season! 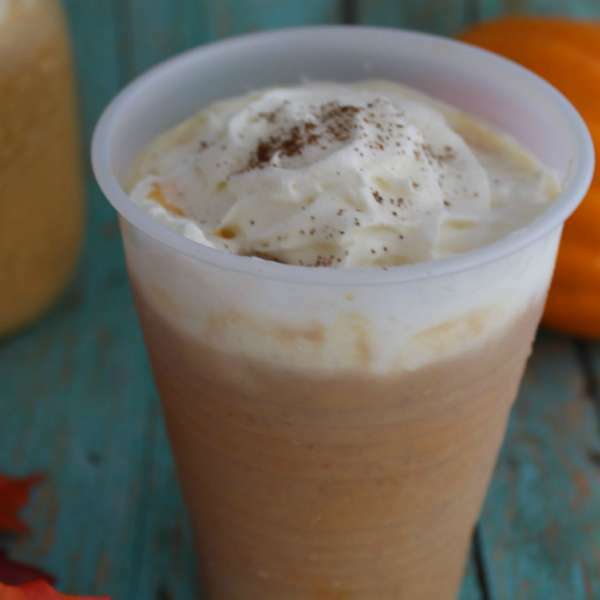 This Copycat Starbucks Pumpkin Spice Frapp is easy to make at home and you will know exactly what is going into your drink when you make it at home. 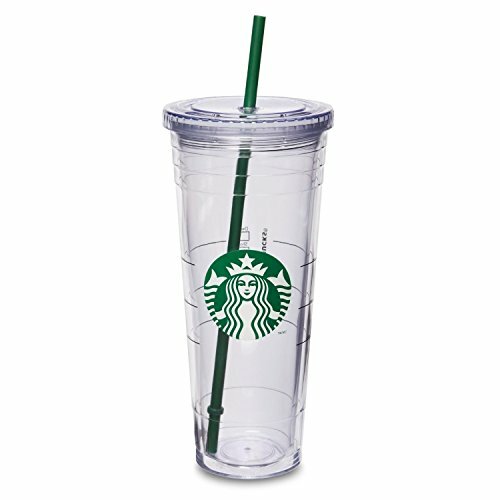 f you want to feel like a even bigger copycat, you can purchase one of these Starbucks Tumblers! Give this recipe a try and let us know what you think! Pour the first 5 ingredients into a blender. Mix on medium until thoroughly combined. Add ice and blend until the frappuccino is smooth and without chunks of ice. Top with whipped cream and a sprinkle of pumpkin pie spice. In a medium saucepan combine ½ cup of sugar and ½ cup of water. Heat on medium until sugar is dissolved. I’m all over this one!